Today, ''Georgian Airways'' is a fully privately owned company, with the fleet of modern medium-haul BOEING737 and CRJ aircraft. The business focus of the airline is to provide safe and reliable passenger and cargo air transportation with great customer service. The company's base airport is Tbilisi International Airport. Givi Davitashvili is the General Director of ''Georgian Airways''. OUR HIGHEST PRIORITY IS SAFETY In 2010 ''Georgian Airways'' became IATA member (International Air Transport Association http://www.iata.org). Before acceding to IATA, our company underwent IATA Operational Safety Audit (IOSA), as all IATA Member Airlines are committed to being audited, to meet IOSA standards. The IOSA Program is an internationally recognized and accepted evaluation system designed to assess the operational management and control systems of an airline. The following areas of an airline are audited under the IOSA Program: Corporate Organization and Management Flight Operations Operational Control / Flight Dispatch Aircraft Engineering and Maintenance Cabin operations Aircraft Ground Handling Cargo Operations Operational Security Safety of airline operations remains the highest industry priority – compliance with IOSA standards and recommended practices helps an airline deliver operational safety in all key areas, as well as provides higher efficiency. 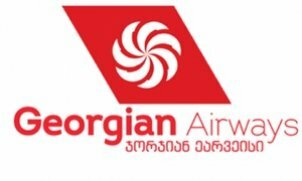 Starting from 2008, ''Georgian Airways'' has successfully passed three IOSA audits and the last certification was effectuated in October 2012, and is valid till March 2017.